I have never considered spending money on expensive mains power conditioner or filter, but I did consider using a separate power cord with proper diameter and shielding to connect the audio system with the main fuse box. Generally I think the electrical network infrastructure here in Hamburg, Germany is of a good quality and particularly in my home I have never experienced any problems in relation with electrical supply. In spite of this I was aware that a cable with better conductance and electrical noise protection could improve the performance of the system. 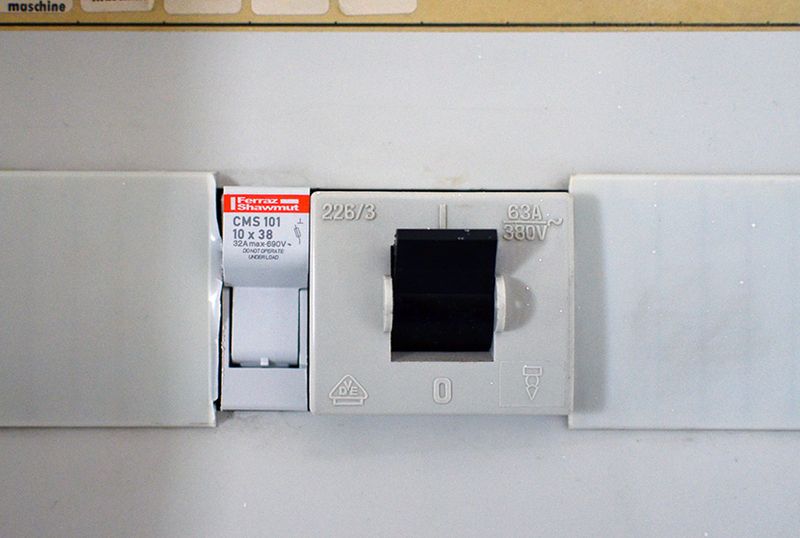 I noticed also that the wire used to connect the wall power sockets with the main fuse box have cross section of 3 x 1.5 mm². Since the power cords for the amplifier and DAC have diameter of 3 x 2.5 mm² it is logical that the mains power cable should have corresponding diameter. I know that some folks would consider running a separate cable from the main fuse box to the audio system a bit weird, but believe me, I have already experienced the effects of the smallest details on the performance of my audio system. Japanese Hi-Fi enthusiast have been known to say that the quality of the electricity is as important for the system’s performance as the blood for the organism. I was also curious to experience the magic of the pure, not restraint and free from electrical noise electricity. After some research my choice fall on the Ultimate Solidcore shielded power cord and Ultimate Pure Silver power distribution fuse from Germany based company HiFi Tuning. The Ultimate Solidcore cable has cross section of 3 x 2.5 mm², separate copper shieldings for the phase and neutral wires, and Polypropylene insulation in order to minimise the capacitance. The Ultimate Pure Silver power fuse has cryogenic treatment which is meant to improve its conductive qualities. HiFi Tuning Ultimate Pure Silver fuse installed in the mains fuse box. My plan was to couple my Groneberg 6-way electrical extension socket directly with the main fuse box via Ultimate Solidcore cable and Ultimate Pure Silver power fuse. After installing the power distribution fuse I connected the phase wire to it and the shielding to the ground bar inside the main fuse box. The same happen with the shielding of the neutral wire, so basically both shieldings were connected at one side to the ground. At the other side I connected the cable directly to the terminals of the Groneberg power socket leaving the shieldings free. After all the connections were checked with a multimeter I plugged in the devices according to their absolute polarity and switched them on. It was easy to discern the effects of the upgrade. The whole thing sounded more solid. Big instruments like piano or cello had more weight, the dynamics won energy, details and 3d space rendering have been improved too. Timbres of the instruments and voices sounded as neutral as they have never before and at the end all the aspects of the reproduction have been improved one step further. As a conclusion I would say that installing a dedicated power line to connect the audio system with the main electricity has well paid off. As a result I enjoy more relaxed presentation with better 3d characteristics. 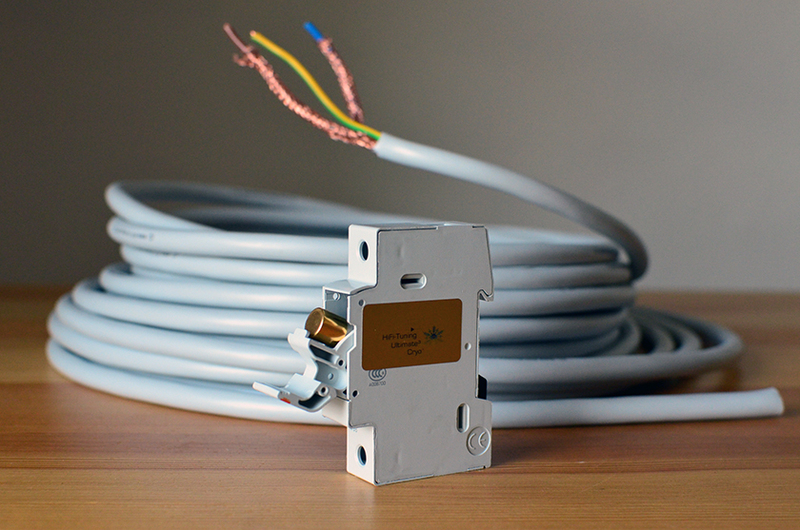 The prices for the cable – 15 euro/meter and fuse – 45 euro are quite affordable, but one have to consider the distance to the main fuse box which will determine the final costs. Excellent experience sharing thank you. I am aware of alternatives in this field however I agree with your experiences and appreciate the effort you took to make this instal. It can be a challenge actually impossible, to get new home builders to cooperate with such wiring even if you supply them the parts. This leaves you trying to do it post build which I find frustrating.